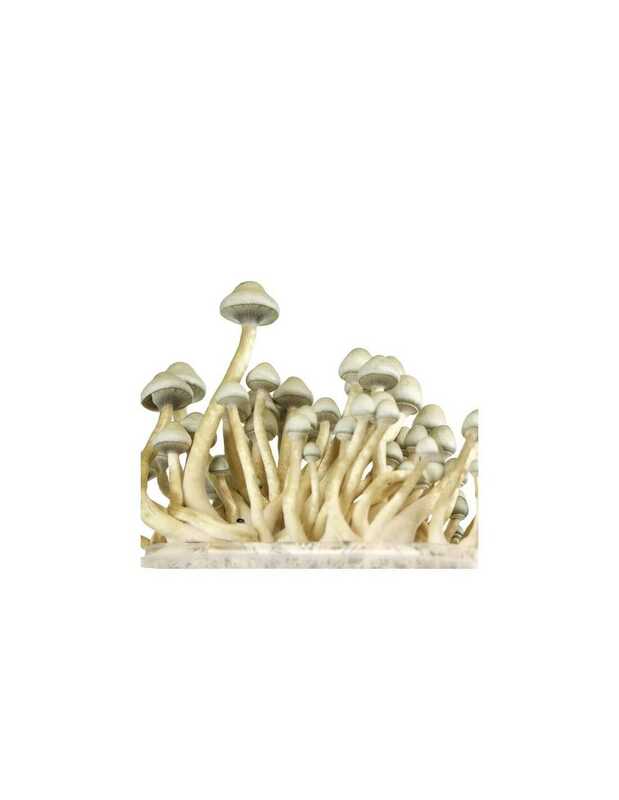 Psilocybe cubensis growkit Albino A+100x100 myceliun produces beautiful and powerful fruit. 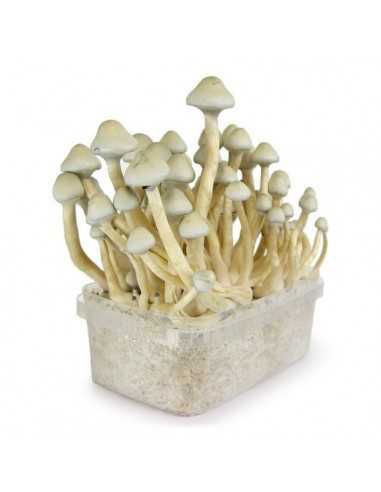 It can produce enormous fruits, up to 50 grams, It needs at least 25 / 26ºC to fructify. Do not immerse in water before putting it to fruition. 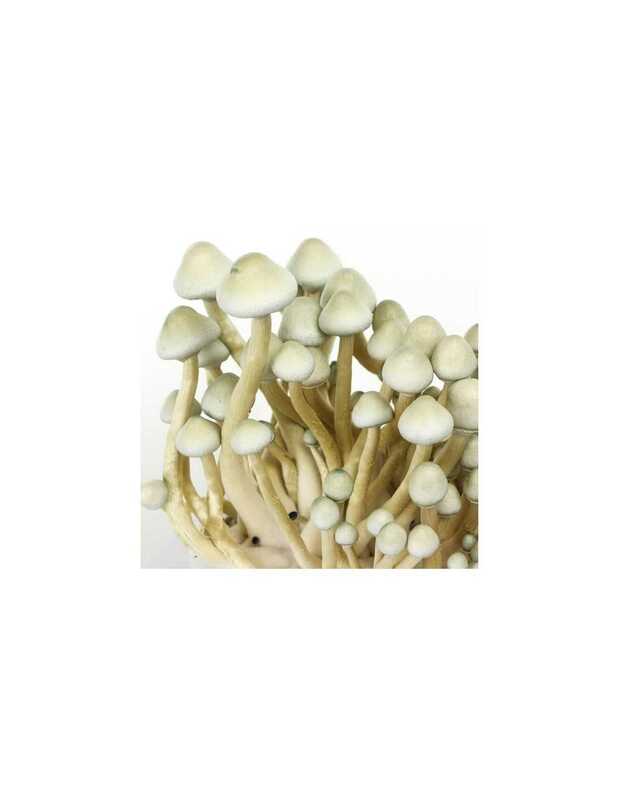 The Psilocybe cubensis Albino A+ is also known like AA+, but his name is deceptive because in reality it is not an albino, but a mutation with little pigmentación. 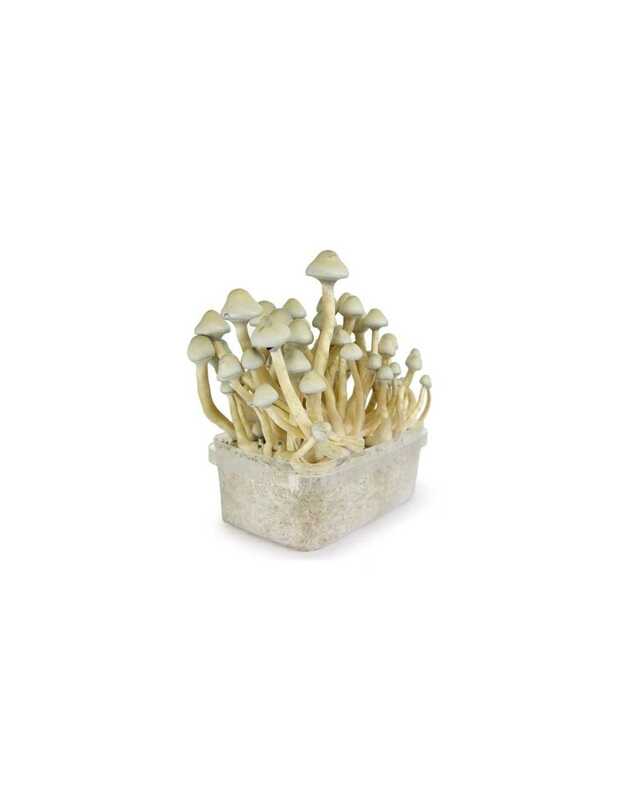 The natural habitat of this singular mushroom is a climate sub tropical and develops better in bovine muck or equinos and floors enriched; has some fruits of half size-big with, sometimes, a pezón spiky in the sombrerillo. The sombrerillos are of a pale colour cream and with touch whites and, sometimes, bluish. The cut of the fruit is of the same colour that the sombrerillo and shows an intense blue colour when bruised . 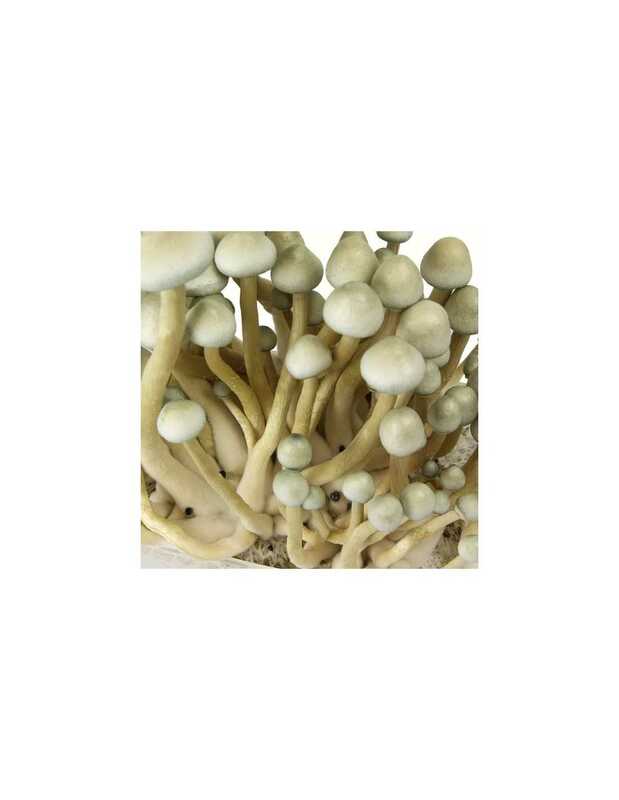 Unlike the PF albino, this mutation keeps some spores with pigmentación normal of a dark purple colour.